When Life Gives You Lemons you make lemonade on National Lemonade Day! 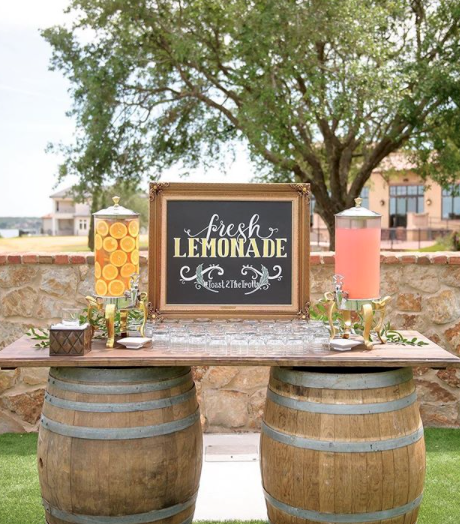 Lemonade made its debut in Paris in 1630 as a “soft drink”. Then they added sparkling water, honey, and of course lemon juice! 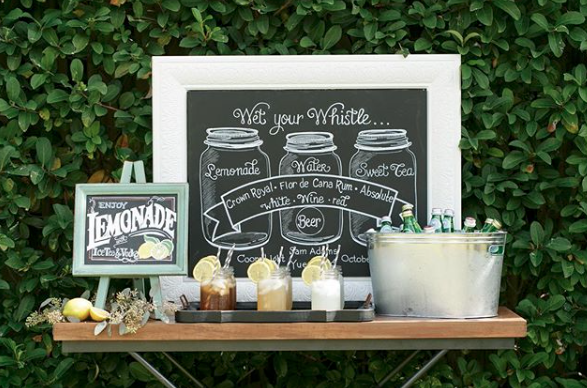 Add some vodka (Tito’s is my favorite) garnishing and a clever name to the classic lemonade and now it has become your signature cocktail at your wedding! The refreshing, citrus drink will never go out of style. 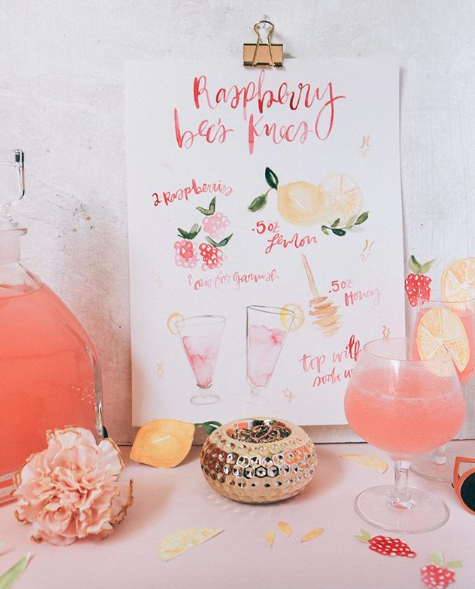 Pink lemonade can add a feminine touch to create a “Blushing Bride” cocktail. Even better than the taste is the beautiful color it displays! 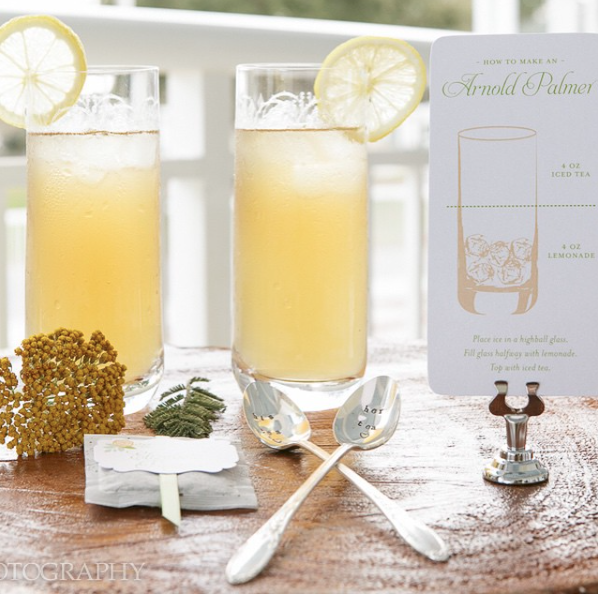 Our couples have used lemonade as part of their signature cocktails time and time again. We have worked with these lovely ladies for years. Their work showed displays their signage on cocktails that include lemonade/lemons! 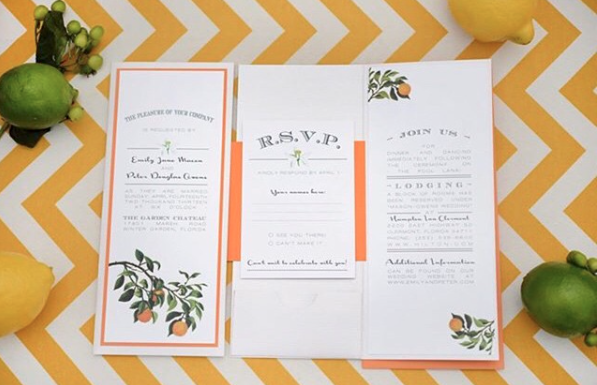 Are you incorporating lemons on your big day? Let us know! In our recent post, I had a Lilly Pulitzer inspired bridal shower with lemons in cylinder vases. 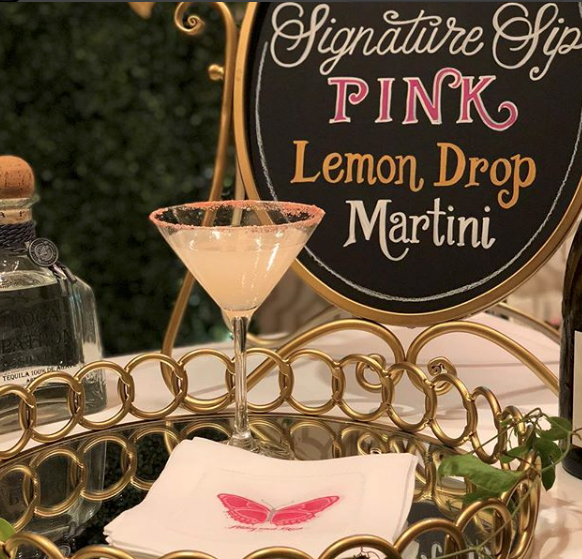 Elegant work by Denise with Dogwood Blossom Stationery showing her talents with a signature cocktail sign, and an invitation with lemon details. 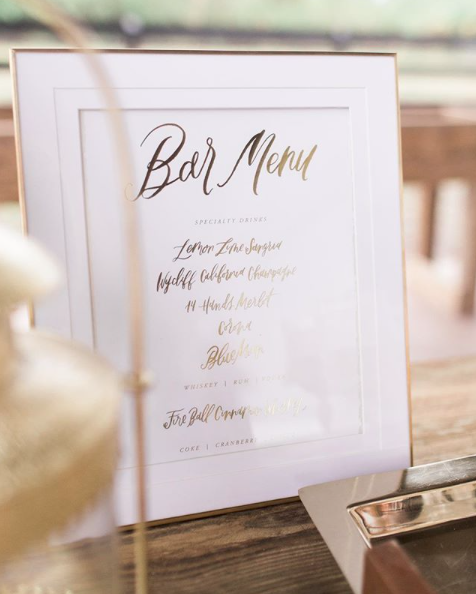 Calligraphy work by Andi with Andi Mejia shows off her personal hand lettering on these two bars signs. The raspberry and lemon mix is so yummy! Such fun colors are shown by Kim at Chalk Shop Events her hand lettering with chalk is such a talent that displays the lemon cocktails so creatively.